He started playing in goal at an early age, and soon won a place at Millfield School’s Centre of Excellence. Bristol Rovers signed him on schoolboy terms but he was released just before he left school. 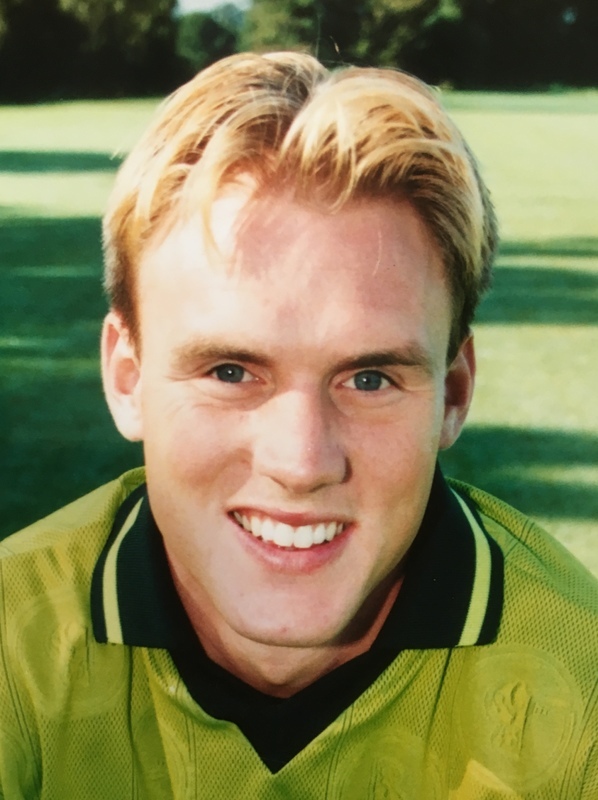 Matthews then spent six years playing for a number of clubs in the Western League, including Welton Rovers, Paulton Rovers and Mangotsfield United, before signing for Salisbury City in 1997. The following season, 1998-99, Matthews signed for Nuneaton Borough. He was then invited to join Exeter City in August 1999 giving him his only taste of Football League action. His debut for the Grecians came in the same month, in a 2-0 win at Rochdale when he replaced the injured Stuart Naylor in goal during the course of the match. He was to do that again in an FA Cup third round tie at home to Everton later in the season, and he kept a clean sheet as Exeter earned a goalless draw and a replay at Goodison Park. After just one season with the Grecians, Matthews signed for Aberystwyth Town, moving on to Clevedon Town in 2001. After a year with them, he moved again, this time to Weymouth where he remained for five seasons. Matthews became the first Weymouth goalkeeper in the history of the club to score from open play when he netted with a kick from his own penalty area against Southport in the Conference fixture. Matthews left Weymouth for Eastleigh in March 2008 and after 137 appearances for them, then signed for Bath City in June 2011. He turned down a move back to one of his former clubs, Salisbury City, in November 2011, but then in May 2012 signed for Dorchester Town. He signed for Chippenham in 2017.